Team Heusinkveld is an eSports team based in Germany. Since 2014 Heusinkveld Engineering has served as main sponsor for this simracing team which mainly competes in iRacing based series. 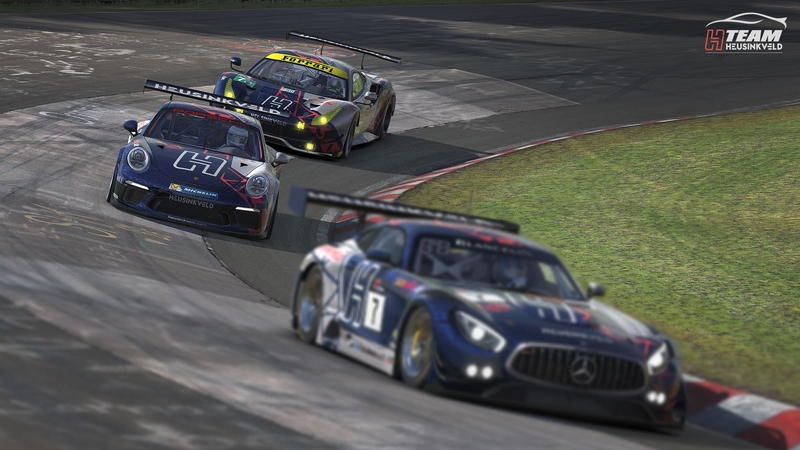 – Winner of the GT3 class in the iRacing official VLN series 2017. – Winner of the AVIA vVLN 24h Nürburgring Nordschleife race 2017 by Simracing Deutschland. – Overall and GT3 class winner of the AVIA vVLN league 2017 by Simracing Deutschland. Team members from Team Heusinkveld are using Heusinkveld products such as the Sim Pedals Pro, Sim Pedals Ultimate, Sim Rig GT, Sim Shifter Sequential and Sim Handbrake.